In the press conference on the television program of the new TV season, RAI announced the dates of the Sanremo Festival for 2019. The most historic European Song Festival will be held at Teatro Ariston in the small town of Sanremo from 5 to 9 February, with major changes in the category of New Artists. As we informed you in our previous article, Claudio Baglioni was announced as the artistic director of the Sanremo Festival and for his next release. 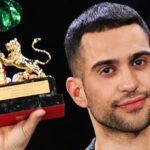 The RAI people and the television audience expect a lot from him, taking into account the great success of the Festival this year, both in viewing numbers and in terms of the commercial success of the contestants’ songs selected by Baglioni. The Sanremo Festival for 2019 will be held as announced from 5 to 9 February at Teatro Ariston in Sanremo. 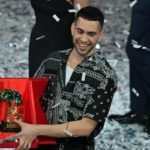 It remains to be seen as soon as the regulations of the next Festival are published, although for 2019 Italy’s representative at Eurovision will be the Sanremo winner, just as it has been in recent years. One major change that has already been announced is that candidates in the New Artists category will not be selected by a committee, but the audience will be the one who will have the final decision through two special broadcasts that will be broadcasted to RAI1 prime time zone , on 13 and 14 December, under the title “Sanremo Giovani”. This year, Italy was represented at Eurovision by Ermal Meta & Fabrizio Moro, with the song “Non Mi Avete Fatto Niente”, ranking fifth in the final score. With the same song, the two successful artists also won the Sanremo 2018 Festival. I would like to know what channel and what time will the Festival of Sanremo be on, in Calgary Alberta Canada. I want to make sure I can get the correct channel and time.